Plot Summary: Katsuomi and Tsurugi are fierce rivals in the Japanese sport of fencing known as kendo. Their competitive egos and contrasting fighting styles clash, and yet Katsuomi gradually finds himself attracted to the keen, graceful Tsurugi. However, he hesitates to pursue his desire, fearing that doing so will surely give his foe Tsurugi the upper hand in competition. Although Katsuomi's love for his adversary soon becomes overwhelming, Tsurugi finds himself torn between reciprocating Katsuomi's love and maintaining his pride as a competitive rival. 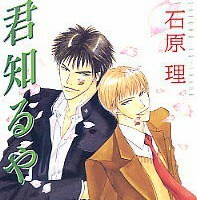 The competition intensifies into a love triangle when Tsurugi's young brother steps in to pursue the source of his brother's angst.